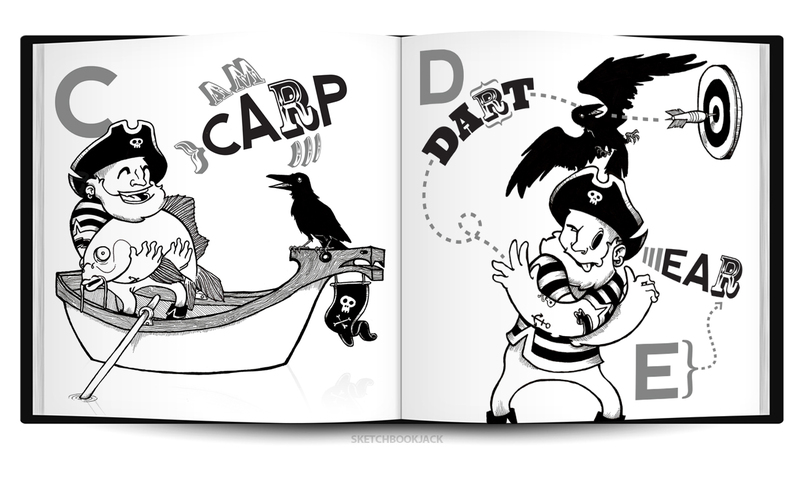 Two more sample page layout mockups from the children’s letter book, “Captain and Crow’s ABCs.” Here, the Captain finds a giant carrrrrp, throws a darrrrrrrrt and finds his earrrrrrr. 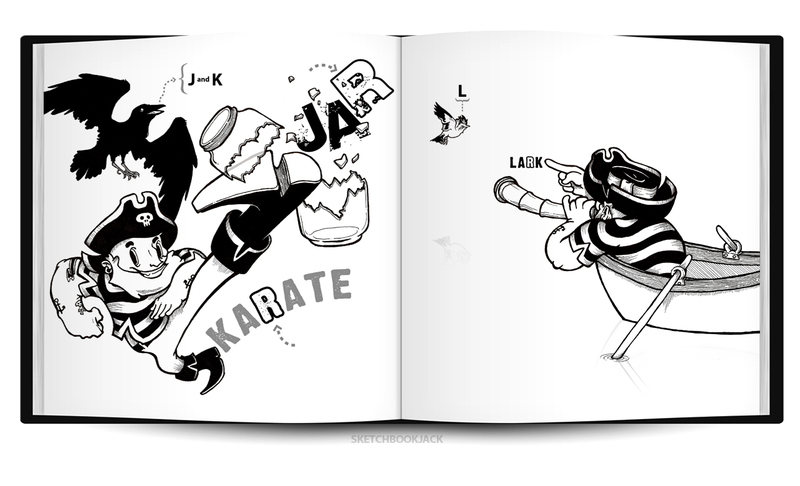 Good golly scalley waggins, the Captain is pretty darn good at naming words with R in them. LOVE THEM! Do you have a publishing date yet? Not any official one. Finding a publisher/agent has been taking much longer than planned. That said, I will probably be doing a small run of this one, self funded. It will be before the end of the year as I have a few little ones I want give holiday presents. For those that are interested in the limited run, I’ll be taking orders in the next few months! Thanks, as always, for the comments and support. Really? I only know one child of age to enjoy this – in 6 months she’ll still be ready. I’m interested, can you email me details? Either via my blog or FB would be grand. Most certainly will do, I’ll do a standard blast across all my sites/pages but I’ll be sure to email you specifically! I would love to buy one of these for my friends, he is obsessed with pirates & I think this is amazing.! Would you please email me if this is possible? Of course! This is a work in progress so it’s not quite ready. I am currently in the process of printing my other book, “The Island and the Plough” so “Captain and Crow’s ABCs” is next. I will surely email all my followers and commenters to let them know the status of both. If you are really REALLY interested I can print you a one of a kind print (before I even sell it publicly! ), but that costs an awful lot more. Once it get the bulk prints they will be about $20 each, but a one off would be $75.